Aren’t you also tired of waiting at stops to buy food and drinks while traveling? With Frizzler™ you can take your favorite beverages and food wherever you go. 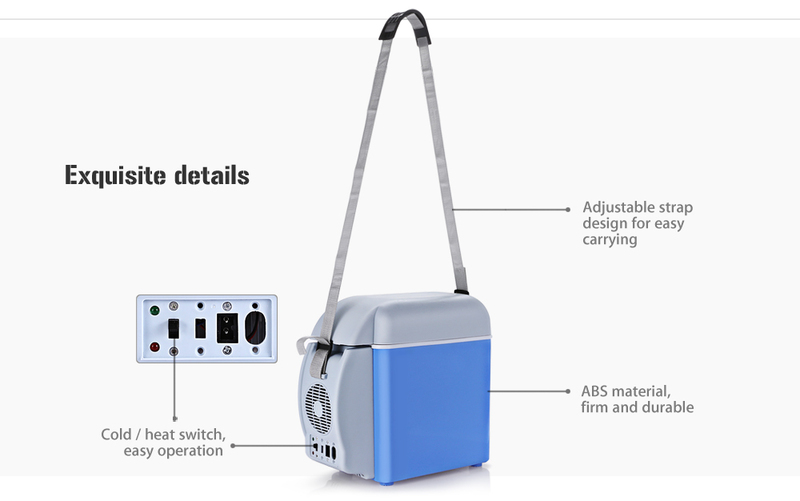 This cooler and warmer can be carried easily as it is lightweight. You can place it in your car, office, college dorm while saving a lot of space. Its graceful design and applicable function will bring you a sense of ease and comfort when you are traveling, or planning a long drive with the family. Dual Features: Frizzler™ comes with cooling/warming feature. Now, you can enjoy your favorite beverages and snacks in your car, office desks or dorms. 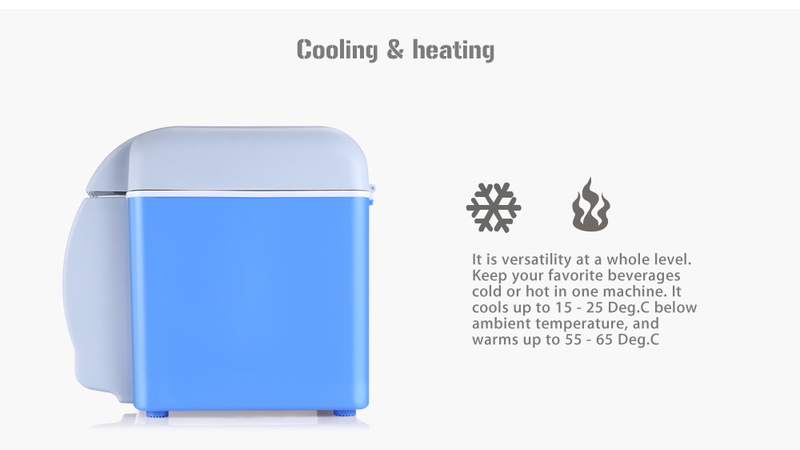 It cools up to 15 - 25 Deg.C below ambient temperature, and warms up to 55 - 65 Deg.C. It can bring you cool drinks in the hot summer and warm food in winters. No matter in outdoor hiking, traveling by car or in a traffic jam, you can enjoy plenty of drinks and foods at proper temperature. Large Capacity and Cost Effective: 7.5L capacity is perfect for your long road trips and camping. Save time and money by avoiding stops for food and drinks while on the way to your destination. Compact and Durable Design: Frizzler™ is designed to take up little space while providing you with maximum storage capacity. It comes with quiet motor and heat dissipation fans for even cooling/heating. You can place it in your car, office, college dorm while saving a lot of space. Portable and easy to use: Simply plug this into your vehicle's 12V DC cigarette lighter outlet, set to the desired temperature setting and get going with your food and drinks. It comes with a belt/strap, making it easy to carry where ever you go. 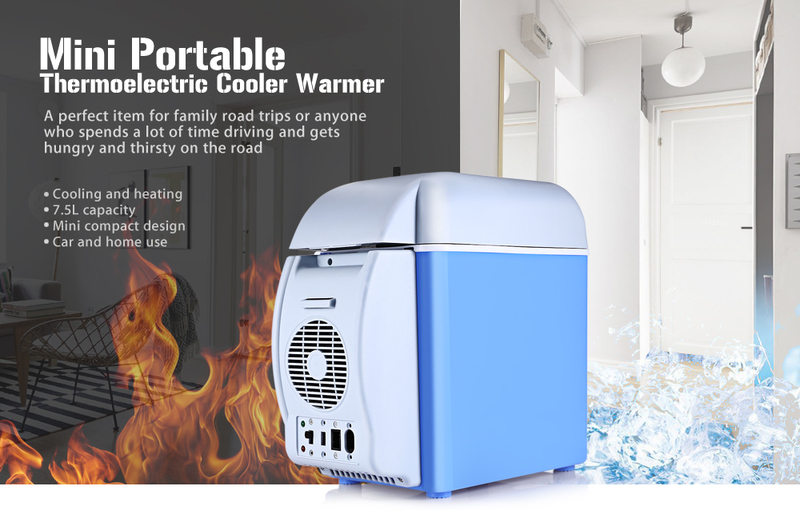 Environment-Friendly: This car refrigerator integrates dual functions of cooling and heating by employing semiconductor, without compressor or cryogen. It has advantages of being free from pollution, low noise, lightweight, portable, long service life, and lowest power consumption. Frizzler™ is not designed to heat cold food but to preserve hot foods at a warm temperature.